The massive installation of intermittent renewable technologies such as wind and PV are challenging the energy balance. 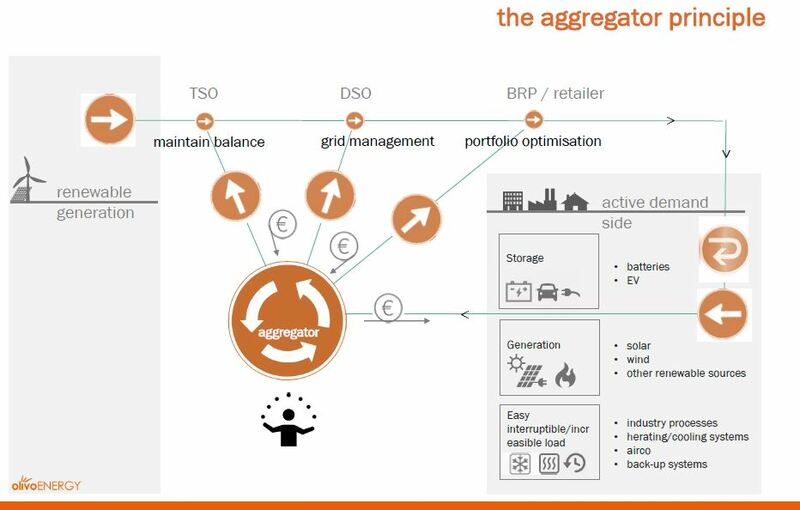 In this new scenario, a more flexible system is needed and demand side aggregator not only can be key to meeting this challenge but has the potential to become a wild card for a successful energy transition as the focus shifts rapidly to a more active demand side. Global climate change has led many countries to set energy objectives in order to decrease CO2 emissions. For instance, Europe has set 20% targets: lower gas emissions by at least 20%, increase the share of renewable energy to at least 20% of consumption, and achieve energy savings of 20% or more by 2020 from 1990 levels. As a result of these objectives, a huge amount of renewable in addition to other traditional storable renewable energy sources, such as biomass and hydropower have penetrated the electric power system in the last decade. Due to the intermittent nature of renewables and inaccurate forecasting, these “clean technologies” introduce unpredictability and variability at both generation and demand side. That, in turn, requires flexibility in order to reach a balance between demand and generation at any time and guarantee the security of supply. 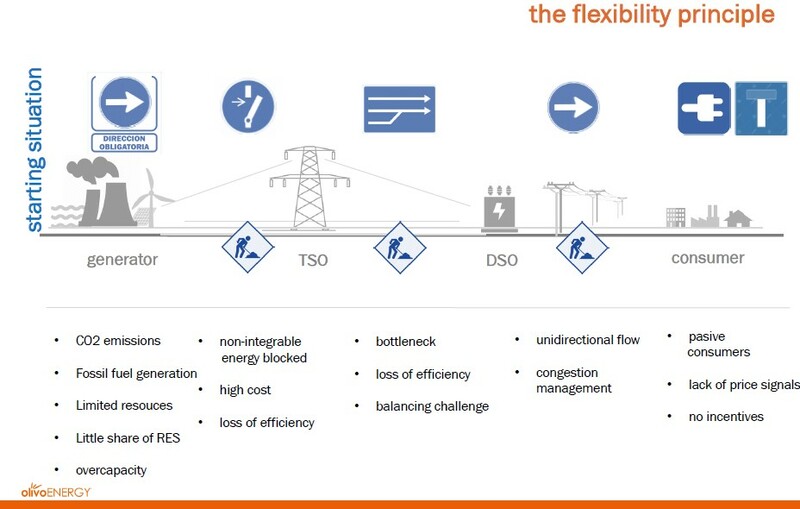 Having a closer look at the traditional electric power system and the value chain, it can be stated that generally power systems were much simpler and flexibility was not as needed as today. The generation side was mainly predominated by fossil and centralized technologies very predictable and easy to forecast, just a small share of renewable was installed. At the demand side, consumers were passive, without DERs installed and they were not incentivized or awarded if they changed their consumption patterns. TSO and DSO networks suffered bottleneck and congestion management as happens today but at smaller scale. Electricity flows were unidirectional and in general terms, managing the networks was not as complicated as nowadays. What can be seen today is a huge change in the value chain, new technologies, new solutions and a great need of flexibility in the system. As mentioned earlier, the strong penetration of variable renewable energy sources requires a more flexible system, not only on the generation side but also on the demand side. In this regard, it can be seen that demand is becoming active, responding to economic signals, providing demand response service thanks to their DERs and technology information. Utilities are able to adapt to this situation and they are not only providing electricity but also energy services. The so called virtual utilities are emerging and new technologies, such as blockchain, are expected to disrupt the energy scenario. New fast responsive storage has been studied and piloted in order to provide flexibility and cross region models and hardware optimization are enforcing the grid. This is resulting in a more flexible system. The potential of the demand side to provide the system with flexibility services, however, is not yet used as it should be. A new actor who is able to take all the advantages of the flexible demand and offer it to the market is emerging in many countries, the aggregator. Novel technologies at the consumer side, such as electric heat pumps, electric vehicles or storage can provide flexibility services that combine characteristics of both demand response and storage. Yet, flexible load offered by these consumers has to reach a certain scale that is useful to System Operators and/or Balance Responsible Parties or that it even can be sold in the wholesale markets. The aggregator is able to group a high amount of flexible load and reach a reasonable capacity that allows demand side to participate in different markets, such as balancing markets, ancillary services or wholesale markets. It is a win to win service, since the System operators or BRP will reward the aggregator for providing the services and the aggregator will pay the flexible consumer the amount accorded in the contract previously signed. Demand response aggregation is already becoming a very relevant source of flexibility in the US and in different countries in Europe like France or the UK. Nevertheless, there are regulatory barriers left in many countries that are preventing its development. However, the Electricity Balancing Guideline approved in December 2017 sets the terms and conditions to open demand side aggregation to the Balancing markets by 2018 (read in olivoENERGY blog “ENTSO-E network codes will open further the potential of aggregation of DERs). 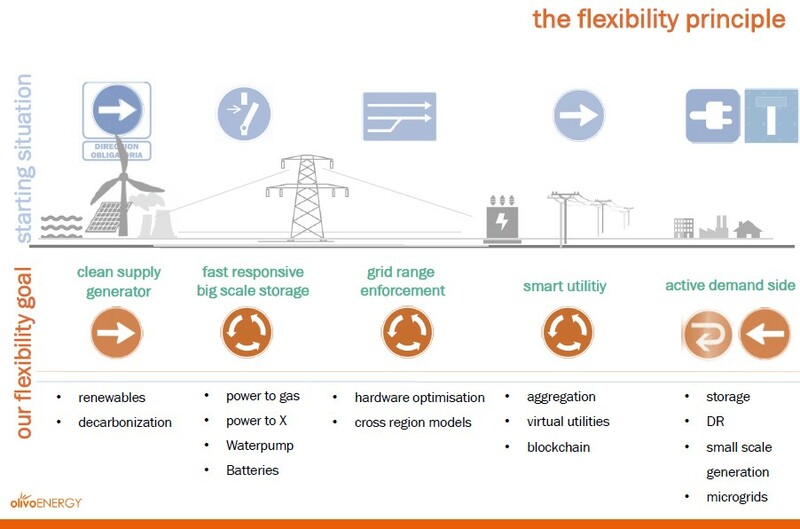 Seen under the perspective of its function, its great compatibility to the system and its potential to grow with decentralized flexibility needs in future, the aggregator model has the potential to become a wild card for a successful energy transition as the focus shifts rapidly to a more active demand side.